Dr. Birgit Kaufmann is an Associate Professor with a joint appointment in the Department of Mathematics and Physics at Purdue University. Her visiting appointments include the Physics Department of Princeton University. She received her Masters and PhD from Bonn University in Germany and completed postdoctoral fellowships at the University of Southern California and at Bonn University. She also has served as a visiting faculty member at Oklahoma State University and the University of Connecticut before joining the faculty at Purdue. Birgit has been honored with awards for excellence in both research and teaching, including a National Science Foundation Career Award, she is a recipient of the Simons Fellowship in Theoretical Physics as well as the Teaching for Tomorrow Award and the Ruth and Joel Spira Teaching Award both from Purdue University. Birgit is with us today to tell us about her journey through life and science. 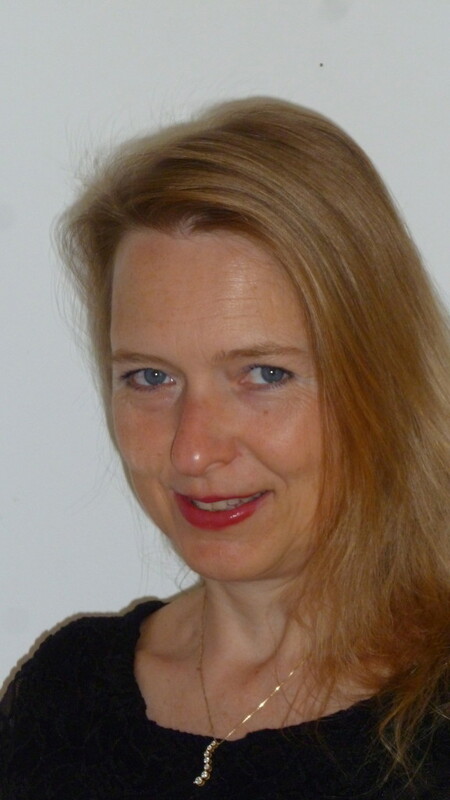 Birgit’s research is in the area of mathematical physics. She is currently investigating a number of research lines, including integrable systems, quantum spin chains, Bethe Ansatz, and non-commutative geometric approach to quantum wire networks. New materials have recently been synthesized with the geometry of a double gyroid on the nanometer scale. In particular these materials give rise to a wire system. When discretizing this wire system, Birgit’s research group arrived at a specific non-commutative system/space. She researches how this system is related to the non-commutative torus via a Harper Hamiltonian. Her lab also treats simpler cases such as the square lattice which leads to the Hofstadter butterfly and the honeycomb lattice which is the underlying structure for graphene. Some of the techniques are from (non)-commutative geometry and K-theory. This is joint work with Ralph Kaufmann and Sergei Khlebnikov. Birgit’s research is supported by a CAREER grant from the National Science Foundation and a Simons Fellowship in Theoretical Physics.